Since 2013, geophysicists have systematically surveyed the Australian crust and mantle. Recently, the AusLAMP team celebrated completing the South Australian portion of the project, shining a light on potential ore deposits ‘hiding’ at depth. I write this in between the AuScope field, laboratory and digital infrastructure planning workshops, as we hone our capability to address national geoscience research challenges over the coming decade. The discussion around the research challenges relating to water, minerals, energy and geohazards has been particularly interesting, and we’re seeing new synergies across our field arise. It's an exciting time. Australia has benefited from rich mineral endowment for almost two centuries, but now faces an urgent challenge: finding enough critical minerals in more complex environments to supply low carbon economies globally. Dynamic. Thinking big. In it for the long haul. These are three key leadership qualities for any field. But for Dietmar Müller, the award-winning geoscience professor leading Sydney University’s EarthByte Group, they take on tangible meaning as he investigates Earth’s complex evolution. AuScope is excited to appoint geospatial science leader, Doctor Lesley Arnold to our independent management board. Lesley joins us with a wealth of experience in the field across Australia and abroad. Welcome Lesley! Over the weekend we were proud to discover five geoscientists, including two AuScopers, amongst the Order of Australia awards list for their outstanding achievements and service in science. AuScope thanks the Australian Government for new funding to replace age-dating instrument that critically underpins natural resource discovery and frontier planetary science. We uncover one humble scientist’s passion for geodesy (where maths meets Earth), journey with AuScope from the start, and sizeable feats for positioning in Australia. It seems that each time I write one of these I start out by saying what an exciting quarter it has been. That is once again the case! This time though, a quarter punctuated by appreciation of personal achievement, as well as the inclusion of some new faces in the AuScope family. AuScope Grid’s Informatics Platforms team at CSIRO Mineral Resources are proud to announce the release of the completely redesigned, rebuilt and expanded AuScope Discovery Portal. Discover Meghan’s passion for plate tectonics and deep Earth, swag of academic achievements, and ambitions for research innovation in Oz. 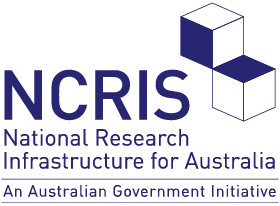 Community members and future collaborators, please join us in building the future of Australian geoscience research on 18 – 19 October in Adelaide. Researchers can now create globally unique sample IDs (IGSNs) and link metadata with analytical data for current and future research. Sign up for our quarterly compendium of program updates, research, and ideas that help to tackle national geoscience challenges.